Department of the Navy Reserve Crest. Image available on the Internet and included in accordance with Title 17 U.S.C. Section 107. FAY, ALBERT BEL (1913–1992). Albert Bel Fay, businessman, Republican party leader, and United States ambassador, was born on February 26, 1913, in New Orleans, the son of Charles Spencer and Marie Dorothy (Bel) Fay. He was the nephew of Edwin Whitfield Fay and the cousin of Charles Hemphill Fay. His father was vice president and traffic manager of the Southern Pacific Railroad. The family moved to Houston in 1928, and Fay graduated from the old San Jacinto High School there. In 1936 he earned a B.S. in geology from Yale University and received a commission as an ensign in the United States Naval Reserve. During World War II he commanded a submarine chaser in the Gulf of Mexico and the Atlantic. He next served on the staff of the Submarine Chaser Training Center in Miami and then as first lieutenant on the USS Yokes at Okinawa. Seabrook Shipyard. Image available on the Internet and included in accordance with Title 17 U.S.C. Section 107. In 1938 Fay and his brother Ernest founded the Seabrook Shipyard, which built submarine chasers and rescue boats during World War II. Fay was also founder and vice president of Eagle Lake Rice Dryer (Texas); founder of Lake Arthur Rice Dryer (Louisiana); cofounder, vice president, and director of the family-owned Bel Oil Corporation (Louisiana); a vice president and director of the Lacassane Company; a partner of Quatre Parish Company (Louisiana); a director of Gates Learjet Corporation; and a member of Lloyd's of London. In 1972 his petroleum interests included holdings in Texas, Louisiana, and several other states, as well as in Canada and New Zealand. He also had real estate interests in Nicaragua and the Little Cayman Islands in the Caribbean. In 1992 his business interests included ranching, timber, marinas, and banking. Republican Party of Texas Logo. Image available on the Internet and included in accordance with Title 17 U.S.C. Section 107. Fay's work with the Republican party began at the precinct level in 1952, during the presidential campaign of Dwight D. Eisenhower. By 1960 he had become a Republican national committeeman. In 1962 and 1966 he was the Republican nominee for Texas land commissioner. In the latter race he won the endorsement of the AFL-CIO executive board and the Political Association of Spanish-Speaking Organizations. He lost both races to Jerry Sadler. One of the issues on which Fay distinguished himself from Sadler was in his support for national parks in Texas. He supported the movement for a park on Padre Island in 1962 and in the Guadalupe Mountains in 1966 (see PADRE ISLAND NATIONAL SEASHORE, and GUADALUPE MOUNTAINS NATIONAL PARK). 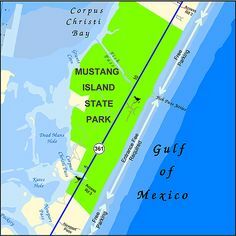 Mustang Island State Park Map. Image available on the Internet and included in accordance with Title 17 U.S.C. Section 107. In 1969 Fay was ousted as national committeeman. Three years later he ran against five other candidates for the Republican gubernatorial nomination. He made it into the primary runoff but lost in that election to Henry C. Grover, who was defeated in the general election by Dolph Briscoe. In the primary campaign Fay argued for a national park in the Big Thicket, a state park on Mustang Island, and a recreational area along Armand Bayou. He also urged the development of a comprehensive water plan and advocated reducing property taxes on the homes of the elderly. He served as chairman of the state Republican finance committee, a member of the national Republican finance committee (1968–76), a member of the state Republican executive committee, and a member of the executive committee of the Republican national committee.He was a delegate to the Republican national conventions of 1960, 1964, and 1968; he served as cochairman of the state delegation in 1960 and vice chairman of the state delegation in 1964. In October 1969 President Richard M. Nixon appointed him to the thirteen-member board of governors overseeing the Panama Canal Company. He retained that position until 1976, when President Gerald R. Ford named him ambassador to Trinidad and Tobago. He served in that capacity until 1977. Houston Museum of Natural Sciences. Image available on the Internet and included in accordance with Title 17 U.S.C. Section 107. Albert Fay's Headstone. Image available on the Internet and included in accordance with Title 17 U.S.C. Section 107. Fay was a director and president of the Houston Museum of Natural Science, a director of the American Brahman Breeders Association, a vice president of the Houston Branch of the English Speaking Union, and a member of the Yale alumni board. He was also a licensed pilot and a yachtsman. He won the 5.5-meter world championship in HankØ, Norway, in 1983, defeating twenty-five other helmsmen from around the world. He was also a three-time winner of the Scandinavian Gold Cup and the United States Nationals. Fay served on the United States Olympic Yachting Committee, the United States Naval Academy Sailing Advisory Council, and the board of trustees of the Yale University Sailing Association. He married Homoiselle Randall Haden on February 3, 1935, and they became the parents of three children. He was a Presbyterian. Fay died in Cuernavaca, Morelos, Mexico, on February 29, 1992, and was buried in Glenwood Cemetery, Houston. John R. Knaggs, Two-Party Texas: The John Tower Era, 1961–1984 (Austin: Eakin Press, 1986). Roger M. Olien, From Token to Triumph: The Texas Republicans since 1920 (Dallas: Southern Methodist University Press, 1982). Vertical Files, Dolph Briscoe Center for American History, University of Texas at Austin. Who's Who in America, 1980–81. Handbook of Texas Online, Mary Smith Fay, "FAY, ALBERT BEL," accessed April 24, 2019, http://www.tshaonline.org/handbook/online/articles/ffa20. Uploaded on June 12, 2010. Modified on March 23, 2017. Published by the Texas State Historical Association.